This week's topic for TOTR is Scenes from my Summer. My Summer is not nearly over yet so I'm just going to give you a peek into something I've done this summer and really enjoyed. Run, run, as fast as you can. You can't catch me I'm the Gingerbread man girl! 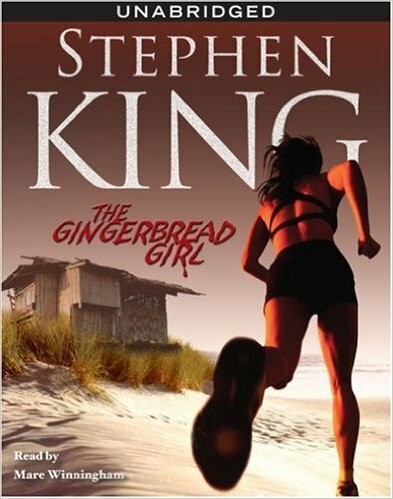 The Gingerbread Girl is a book by Stephen King that I've been wanting to read for over a year now. The only problem was that I could never find it! Apparently it is only available on audio. After downloading it to my ipod, I noticed that it was only around 2 hours long. I thought this would be perfect to listen to during a long walk on the trail. I say walk and not run because I'm not sure I could run while listening to a book. I feel like I wouldn't be able to concentrate. So a walk it was. I strapped on my hydration belt and packed a Clif bar and planned to do an hour walk up the trail and an hour walk back down! I don't usually read too much about book summaries because I like to be surprised at what happens so I will try not to give too much away. The story's main character is a lady named Em. She starts running after the death of her baby. She would run up and down the driveway, then the end of the lane, and then to the corner store, and then a few miles at a time. The running (among other issues) became a point of contention between her and her husband so she just "ran away". She takes some time for herself while staying at her father's Conch shack along the beach. On the same island are the McMansions of the very rich. While on a run, she sees something that she probably shouldn't have which takes the story in a whole new direction. It is a Stephen King story so of course it is graphic and thrilling but I have to say the character Em is not very clever. But then again, if she did things sensibly then there really wouldn't be much of a story now would there? 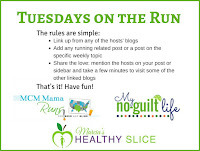 I'll be linking this post up with the gals from TOTR. I liked Stephen King in the beginning (The Stand), but then he started to get too dark for me. Although I did enjoy the time travel one dealing with the Kennedy era. This one does sound interesting! I liked this one because it was short and I got through it during my walk! I have only ever read one Stephen Kind story, as I found it too scary. Maybe I chose the wrong one and need to give him a try again. Honestly, I don't remember if I've ever read a Stephen King book. I've seen some of his movies though! There was nothing that really stood out about this book that you would definitely know it was Stephen King. Quite honestly this one may be considered "mild" for him! Stephen King... I have a love/hate relationship with his writing styles. Sometimes he just goes on and on about minutia and it can get pretty boring. But my guess is that since this is only about a 2 hr story, there is probably a lot of action! I have never ever listened to a book on tape! But I think I would like them, seeing as how I like podcasts so much. Yes, I thought you might like this since you like podcasts. The story moves along quickly! That is a great walk! Nah, this one won't be too scary for you! That was a good one to listen to. I love listening to books while I run. But they can't be too complicated - I have to be able to miss some of the story now and again and still know what is going on. Harry Potter and some mysteries I've read before are perfect. That's why I liked this one. It was short and I didn't feel like I missed much. This sounds perfect! I read a few Stephen King books a year and I think his writing has gotten better. I used to listen to books a lot while running and found that I need to listen to "simple" books, otherwise I can lose some of the plot if I start to zone out. The best types for me were comedian memoirs and young adult books. Thanks for sharing, I think I will check it out! Yea, that's why I decide to walk and listen instead of run. I knew my mind would wander! I don't love Stephen King, but I do love running, and books about running, so maybe I'll give it a try. I have a really hard time concentrating on audio books though. I would definitely have to walk. Listening while during on road trips (not around town) is my best bet. There is some "language" in it so I wouldn't listen to it around children. WHAAATTTT? This sounds like its totally up my ally!!!! If you can send it my way, I'd LOVE to listen to this one! I'll try to send it your way! I have not listened to a book while running or walking but what a great idea! Yea, i'm hoping to find more short stories like this to walk to! First... I do the same as you.... I don't read the descriptions on the back, because I want to be surprised when reading. Those only get read if I can't get into the story in the first chapter. And I love running to audiobooks! Especially when on the treadmill! This is the BEST: " I have to say the character Em is not very clever. But then again, if she did things sensibly then there really wouldn't be much of a story now would there?" I was laughing !! You got that 100% right! Haha, glad you liked that! You should go listen to the book and then you'll know what I mean. I'd love to get your opinion! I read your recap and I thought, would this be a good book for my book club? But then I don't know even if I want to read it...I'm kind of done with Stephen King! Great review though! Oh, I would love to have discussed this with a book club! Why are you done with Stephen King? I haven't found it in book form but I don't know about kindle. Let me know what you think. I'd love to discuss! I haven't read Stephen King in YEARS...now I'm intrigued by this story! I've never listened to an audiobook to be honest...I need to check this out! I love to run and listen to books that I get from the library! I need some new stuff to listen to on my runs, but I must say, I don't know if I could do a Stephen King! I love him and I love his books, but listening to freaky stuff on my runs would put my mind in a not awesome place! Sounds like a good read! I haven't read anything my Stephen King in ages. I'll bet it was interesting to hear his take on running. I like that it is only 2 hours. Perfect for a car trip or long walk like you said. Oh wow! How cool that Stephen King wrote a book about a runner! I especially love that her name is Em, too. =) Thanks for the write-up on the story, I am intrigued! Will have to check it out!!! I like to read the ending of a book before I get too invested. SPOILER ha ha ha. But Audible books broke me of that. Kinda hard to do. ;) This looks like a good one for me! Thanks! Stephen King is a author that I love. Especially, The Gingerbread Girl is a book that gave me good things. I really love Stephen King. All his book are great and I love the feeling that the dark take over me little by little. Thanks for the review. Definitely check it out! I am a person who like reading book and i have ever read Stephen King's books. He have written many good books that attract the readers. I watched some excellent movies of his, but didn't read any book yet. Maybe I'll try listen to this audio book first, it seems interesting. Thank you for the share. 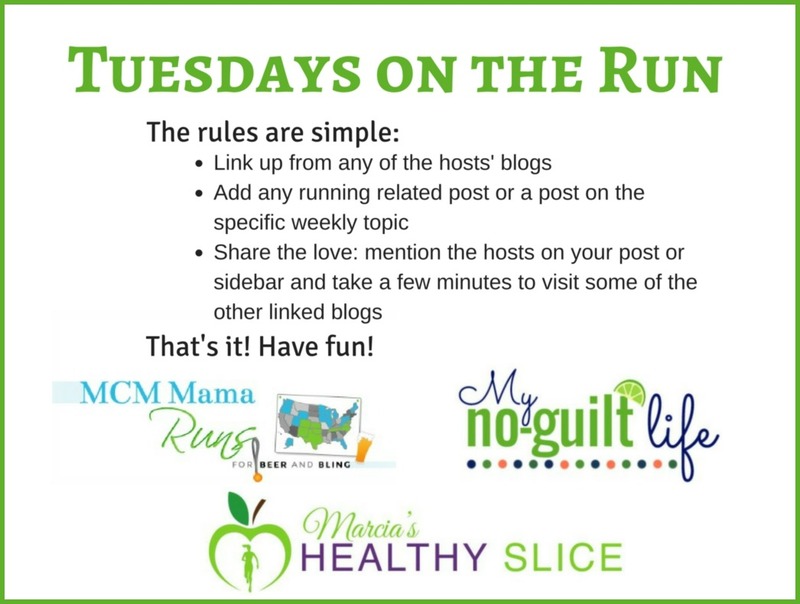 Weekly Wrap: July 24, she's WAY too fast! What's on the Plan Stan? Is Hello Fresh food subscription worth the cost?